Mark Zuckerberg, who started Facebook in his dormitory room but later dropped out, gives the keynote address. 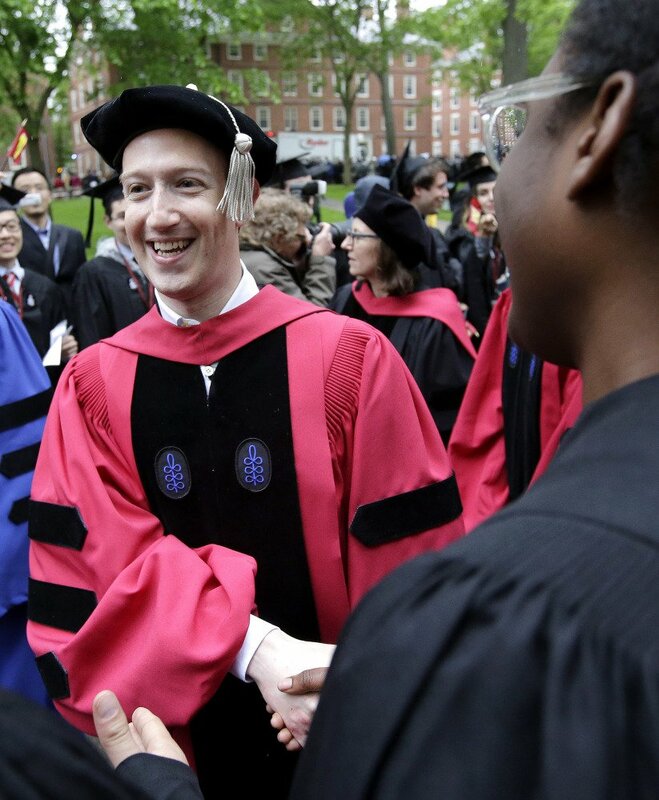 Zuckerberg, who, like the graduates, is a millennial, started Facebook in his Harvard dorm room in 2004. He dropped out the next year and returned Thursday to receive an honorary degree.